Vietnam is for travelers who are truly adventurous. From the limestone pillars of Halong Bay to the chaotic energy of Ho Chi Minh City, this country is defined by the unrivaled beauty of its land and the warmth and resilience of its people. Stroll along bustling streets lined with French colonial architecture in the former Saigon, explore the ancient alleys of Hoi An or wander amongst the crumbling ruins of a once-dominant empire in Hue. Why not leave the typical tourist haunts behind? Head out to the emerald rice fields in the country and mingle with local farmers or embrace the ancient cultures that still thrive amid the hills of the north. No matter where you would like to roam in Vietnam, with the right tour, your experience will be unforgettable. Size (land area): 310,070 sq km, slightly smaller than Germany and slightly larger than New Mexico. All travelers to Vietnam will need a passport valid for six months after their planned exit from Vietnam. Unless you are a national from Norway, Sweden, Denmark, Finland or Russia, you will also need a visa to enter the country. 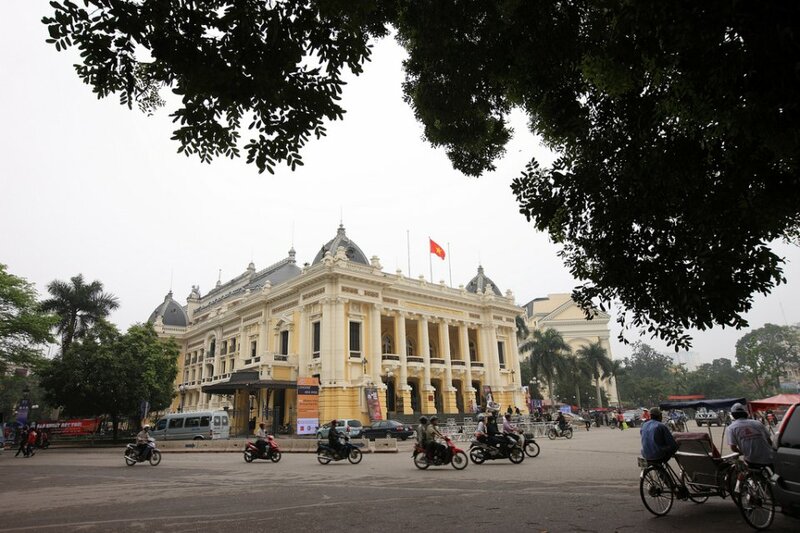 You can get a visa or a visa exemption document from a Vietnamese embassy or consulate, as well as through private visa agencies, prior to traveling to Vietnam. A tourist visa is normally a single-entry visa, which means that if you exit Vietnam (for example, for a side trip to Cambodia), you will require a new visa to re-enter. Or you could apply for a Multiple Entry Visa. Vaccinations are not mandatory in Vietnam, with the exception of Yellow Fever. If you are coming from an area where this disease is present, you are required to be vaccinated. However, there are a few diseases you should be inoculated against for your own safety. This includes typhoid, cholera, hepatitis A & B, tetanus and polio. Malaria is present in most of the region so it is a great idea to take precautions, especially if you plan to be traveling off the beaten path. And please remember that medical facilities are limited, so it is essential to take out a good medical insurance policy before traveling in case you need to evacuate an area. Talk to your doctor for up-to-date information and prescriptions for vaccinations, anti-malarial tablets and to find out about other illnesses that you may encounter while traveling in Vietnam. Remember: some vaccinations may require time before they start working. If you plan to take anti-malarial tablets, you usually need to start one week before arriving. And be sure to carry a first aid kit as well. Although Vietnam is a safe place to visit, there are some general rules you should follow when traveling in any foreign country. Don’t leave your valuables unattended in vehicles and always keep an eye on cameras and shoulder bags. In Saigon (HCMC) there has been a surge in drive-by snatchings, so keep a lookout around you for anything suspicious and never stay close to the road’s edge with valuables, such as a phone or camera. These are items thieves love to target. Avoid cyclos late at night and always take reliable metered taxi companies (they are really cheap and air-conditioned). Choose Mai Linh Taxi, Vinasun, Vina Taxi in Saigon (HCMC) and Hanoi Taxi and CP Taxi in Hanoi. Best to avoid other brands on the street. Travelers are often surprised by how delicious Vietnamese food is. That’s probably because vegetables and other produce used to make meals are often bought fresh that morning from a local market. Cuisine is also cooked with a minimum amount of oil and is served with a fish sauce called nuoc mam. Very tasty stuff. 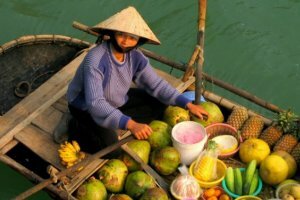 So what types of food can you expect to eat in Vietnam? We recommend you try pho, a type of rice noodle soup, cha gio, deep-fried spring rolls and goi ngo sen, which is an enticing salad made with lotus stems, shrimps and peanuts. Because many people in Vietnam follow Buddism, vegetarian food is very popular. You shouldn’t drink tap water in Vietnam. Fortunately, bottled water is very safe and readily available. Every hotel provides a free bottle of local mineral water per person in the room. Having a few ice cubes in your drink is usually OK in quality hotels and restaurants, but avoid this at street stalls or in more rural areas. It is common to encounter a few stomach problems when exploring exotic countries, so be sure to bring along some over-the-counter anti-diarrhea medicine. Comfortable lightweight clothing in natural fabrics such as cotton is most suitable for travelling in Vietnam. The dress code is fairly casual as in most parts of the tropics but it’s advisable to cover arms and legs in the evenings against biting insects. A lightweight raincoat and umbrella are a good idea in the rainy season and an umbrella can also offer useful shade from the sun. Evenings in the north and the center can be quite cold so bring a sweater and a good jacket, especially from November to February. Visitors should not wear shorts, short skirts or other revealing clothing when visiting pagodas and monasteries. Shoes must be removed before entering some religious building or a private home. It’s useful to wear shoes without too many laces that can easily be taken off. Vietnam mainly uses 220V outlets, but in some areas 110V is also used. A mixture of flat and round 2-pin outlets are used throughout the country. It is certainly a good idea to bring a universal plug adaptor. Vietnam is packed with restaurants, bars and nightlife with most establishments staying open very late. You will also be able to find all types of cuisine, from Vietnamese, Asian, Italian and French to fast food. The national language of Vietnam is Vietnamese. However, in major cities and in places with lots of tourists, more people will speak basic English. The younger generation is better at speaking English, while the older generation still speaks some French. Because Vietnamese has six different tones, it’s a difficult language for most foreigners to speak despite the fact that the Roman alphabet is used in modern Vietnamese. The same word can have six different meanings depending on the tone used to pronounce it. Russian and Chinese are also spoken by some Vietnam residents. If you love shopping, you are in luck. 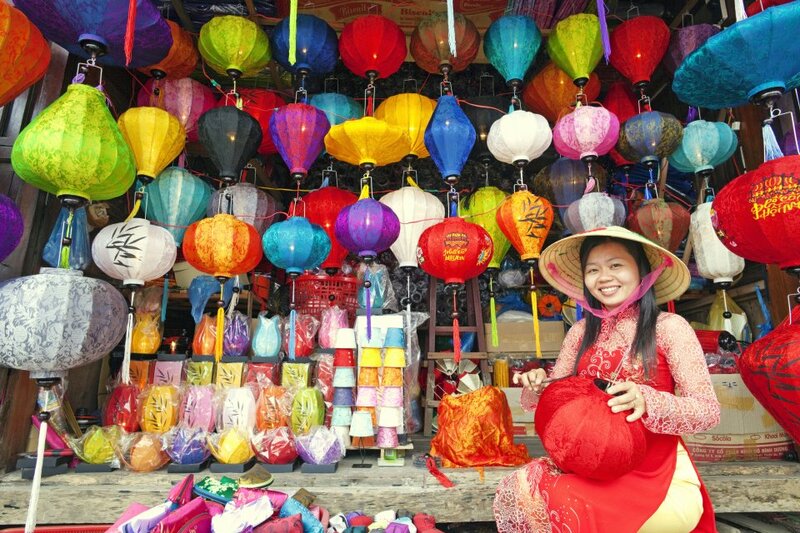 Souvenirs to look out for in Vietnam include lacquerware, silk, conical hats, woodcarvings, hill tribe fabrics and handicrafts, embroidery, marble, ceramics, silver jewelry, antique watches and paintings. Ho Chi Minh City and Hanoi are both great cities for a shopping spree, but Hoi An is a great place to hunt for bargains. If you have worldwide coverage, you can bring your own mobile phone and use it to make domestic or international calls. Make sure you check with your service provider about the costs before using it abroad – otherwise, you could be paying a small fortune. Most hotels now have IDD phones in the rooms, which make it possible to send faxes from hotels and post offices. It is not always possible to make international calls in remote areas. Major hotels have Business Centers with PCs connected to the Internet. Some of them have wireless broadband access in rooms or public areas. If you are on the street, cybercafés are available everywhere and are easily found in major towns and cities. Prices are quite reasonable, usually below US$1 per hour. Most Internet cafés are equipped with webcams, headsets and microphones. Vietnam has an exceptional amount of cafés and restaurants offering free WiFi connections and if you are having a meal or a drink the Internet fees are waived. 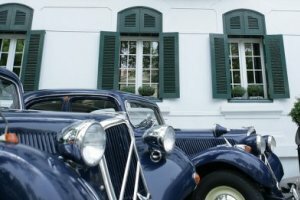 Vietnamese law does not allow foreigners to rent and drive a car. Traffic and roads conditions will likely be very different than what you are used to driving in a Western country. The currency in Vietnam is the Vietnamese Dong (VND). US Dollars and Euros are accepted in some hotels, restaurants and shops, however, these places are not normally allowed to collect foreign currency. Banks are open Monday to Friday from 8 a.m. to 5 p.m. and some on Saturday morning. In the major cities there are some exchange offices open long hours near places frequented by tourists and most hotels will change US Dollars and Euros at very reasonable rates. You will receive a slightly better exchange rate for $100 and $50 notes than for smaller denominations. You are not expected to tip in Vietnam, but the gesture is always appreciated – especially since the average annual income is very low compared to North American and European nations. It is customary to tip tour guides and drivers at the end of a tour. Hotel and station porters should also be tipped. But don’t let guide talk you into tipping more than you plan to. It is totally up to you who you tip, when and how much. Just use your best judgment. If you are planning a trip to Vietnam, one of the first things to figure out is when you would like to go there. And that means looking at two major factors: the weather and what festivals or events are taking places. The weather in Vietnam is as diverse as its people. Up north, it’s cool with temperatures around freezing; while the south is drenched in sunshine all year long. But because of these regional differences in temperatures, there is no “best time” to visit Vietnam. It all depends on where you want to go. The North: This area tends to be colder than the rest of the country. During the winter, which stretches from November until February, the weather is refreshingly cool but often rainy. Temperatures range from 18-20 degrees Celsius (64-68 Fahrenheit), but can drop much lower. Farther north, in places like Sapa, the mercury even dips below freezing occasionally. The north warms in March and stays dry and warm until May. Expect temperatures above 30 degrees Celsius (86 Fahrenheit) during this time. Avoid traveling in the north from June to October, when the weather is hot, humid and rainy. The best time to visit northern Vietnam is November until April. 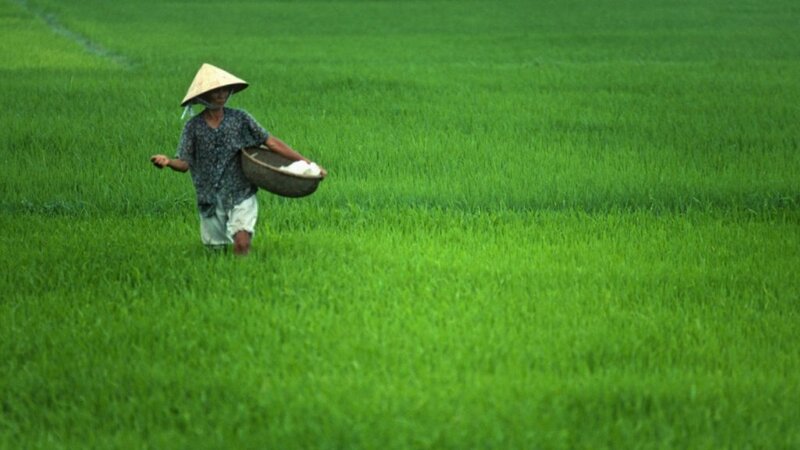 Central Vietnam: This area is toasty warm from July to October, while wet weather moves in from November to May. Typhoons wallop the central coast between August to October, which can sometimes cause flooding that will impact your trip. Temperatures can easily rise well above 30 degrees Celsius (86 Fahrenheit) here. Southern Vietnam: The temperature in this area remains fairly steady, however, southern Vietnam does have two main seasons: the dry season (from December to May) and the rainy season (May to November). But don’t worry too much about the rain – it only lasts a short time, so it won’t ruin touring plans. During the dry season, the average temperature is 28 degrees Celsius (82 Fahrenheit). The Central Highlands in this area can sometimes be chilly. Meanwhile, Nha Trang has warm – sometimes hot - weather all year round, while the rainy season stretches from the end of September until December. Vietnamese festivals are always fun and colorful. But there are certain celebrations you may not want to travel during. Unless you are visiting friends or family, avoid visiting Vietnam during the Lunar New Year, Tet holidays (Vietnamese New Year falls between late January and February). The Tet holiday is the most important period of the year for Vietnamese people, who often travel to visit their families in the countryside. Expect all hotels, buses, trains and flights to be full while there will be little activity in shops and markets. Plus, some hotels and restaurants are under-staffed which means the quality of the service may suffer. The reduced service may last from a week before and a week after the Tet period. It’s also impossible to get a “visa authorization letter” processed during this period. Have a question about when to travel to Vietnam? Contact us now and we’ll give you some advice about your travel plans. It’s not easy to plan a trip to Vietnam. With so many different cities, landmarks and cultural attractions scattered across this captivating country, it can be tough to pinpoint exactly what you want to see and do. So if you ever need any advice, please don’t hesitate to give us a call at Spiced Destinations. Resting in the heart of the Red River Delta, the Vietnamese capital city of Hanoi blends Old World charm with emerging modern style. This former French territory still hangs onto much of its elegant colonial-era features, such as broad tree-lined boulevards and ornate architecture. Over the past 30 years, these streets have been changing. More shops have popped up and a vibrant art scene has emerged. Yet, this city still retains a romantic ambience that captures the historic beauty of Vietnam. This city was spared the destruction that struck its neighbors when the Vietnam War tore through the region. Now, it stands as a priceless example of a perfectly-preserved ancient town. Designated a World Heritage Site, Hoi An was formed by a kaleidoscope of cultures during the 16th to 18th centuries. This means the streets are teeming with an array of unique architecture – pagodas, temples, bridges and Chinese shops. Hoi An is quaint, charming and very easy to explore on foot. Welcome to Vietnam’s economic powerhouse. As the largest city in the country, Ho Chi Minh City (HCMC) is a testament to the effects of Vietnam’s economic boom -- lavish hotels, decadent restaurants and trendy nightspots are continually added to the cityscape. But this hopping city also has a more cultural side. Quaint wooden shops, old temples and colonial architecture are just for starters. Embrace the bustle of the streets or escape someone for a more luxurious experience. This dream-like place is one of Vietnam’s most popular attractions. Jungle-covered cliffs rise over the turquoise sea, stalactites hang from the roofs of multi-colored caves and sun-splashed beaches line the shores of tiny islands. 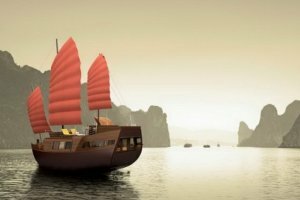 The ultimate way to soak up the beauty of Halong Bay is to cruise through the waters on a junk or a replica colonial steamer. Discover quaint shops in the villages that circle the bay. 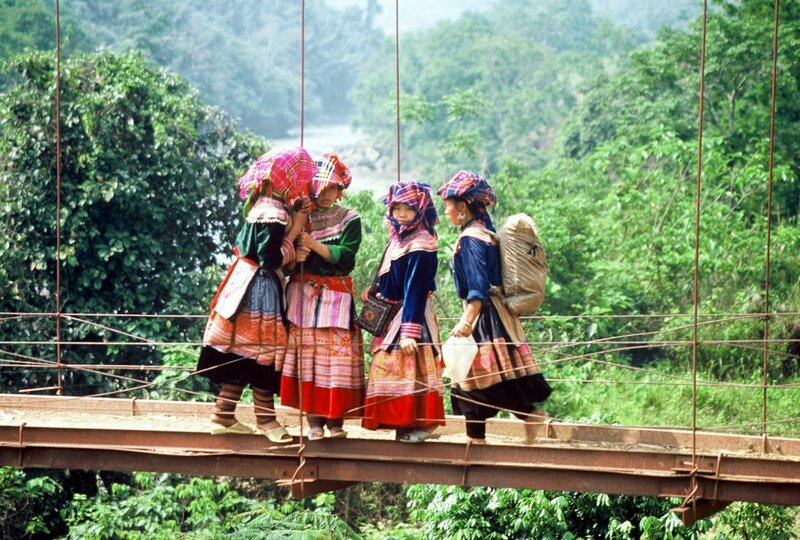 Considered one of the last frontiers of Vietnam, Sapa is the very definition of rustic beauty. To reach these remote mountains, ride on an elegantly restored Victoria Train. But from there, the experience becomes much different. Meet local hill tribes as you trek through the mountains – you can even stay with a local family for a night. Escape to Victoria Sapa Resort to explore the wilderness in comfort or unwind at Topas Eco Lodge for a supremely peaceful retreat. Tucked between Hoi An and Hue, Danang provides a most welcoming resting stop. This modern city has experienced rapid industrial growth, yet still offers plenty of opportunities for cultural exploration. Explore Cham art and culture at the Cham Museum or drop by the beautiful China Beach. Venture through miles of pristine forests and national parks while meeting hill tribe villages along the way. The Central Highlands is ideal for adventure, but when you are ready to return to civilization, drop by Buon Ma Thuot – the largest city in the region. With its perennial cool weather, pine-clad valleys and weathered but elegant French hilltop villas, Dalat is Vietnam’s premier hill station. Visit boutique colonial hotels such as the Dalat Palace Hotel, embrace a mountain adventure or enjoy some world-class golf instead. 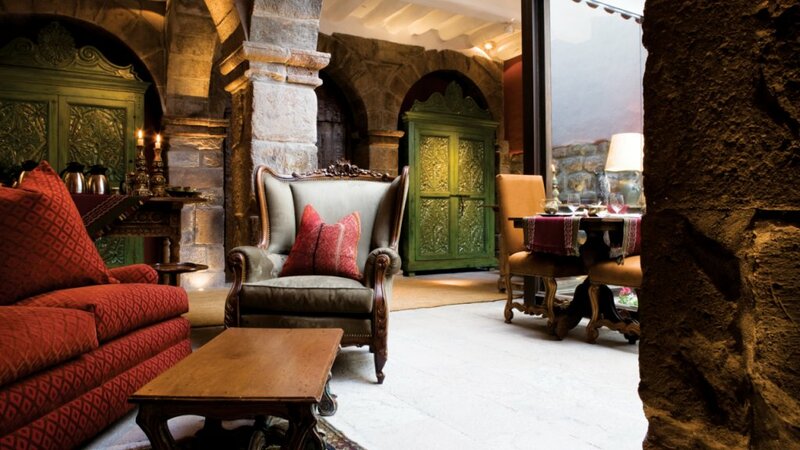 For an opulent alpine retreat, Ana Mandara Villas Dalat is a good fit. Located about a four-hour drive from Ho Chi Minh City, Mui Ne is renowned for its long stretches of soft-sand beaches and sea breezes perfect for wind-surfing and kite-surfing. It is also famous for the wind-carved red and white sand dunes. Golfers can tee off at the Nick Faldo-designed Ocean Dunes Golf Course. The luxurious Victoria Phan Thiet, the boutique Cham Villas and the newly refurbished Blue Ocean are our top resort picks for this charming beach town. This is a small coastal town with a thriving fishing industry. 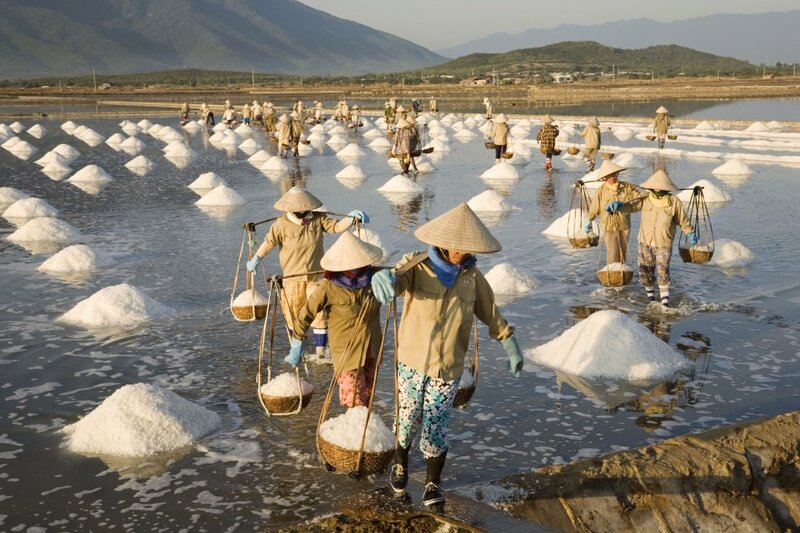 Check out the production of nuoc mam (fish sauce seasoning commonly used in Vietnamese cuisine). Golf lovers can choose from two international class golf courses overlooking the sea – Ocean Dunes and the recently established Sealinks. Nha Trang is the top spot in Vietnam for anyone who craves sand, surf and sun. Besides its powdery stretches of sand lapped by crystal clear waters, it’s also dotted with many unique islands. The turquoise waters are teeming with marine life, which makes snorkeling and scuba diving among the most popular activities. This beach town also features a hopping night life. The lovely Evason Ana Mandara and Sheraton top the resorts in Nha Trang. But if you are searching for a more luxurious resort experience, try the remote Six Senses Hideaway Ninh Van Bay. Discover secluded bays and private islands near the port city of Quy Nhon. Located far from the typical tourist’s path, this destination is a very well-kept secret. If you are looking for a peaceful retreat, try the Life Wellness Resort Quy Nhon. Explore floating markets and local villages that provide a glimpse at authentic Vietnam life along the water. The Mekong Delta is one of the world’s most fertile areas in the world, entailing rice fields and tributaries that cross thousands of square miles of land. The small Song Xanh Sampans and Cai Be Princess vessels are perfect for experiencing traditional life along the Delta while relaxing in the comfort of a floating boutique hotel. 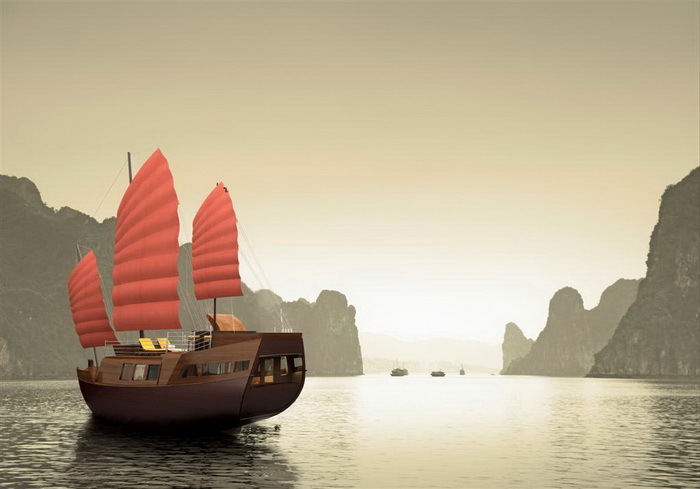 The ornate vessels of Pandaw, Jayavarman, Jahan as well as the more traditional Vietnamese Bassac are great for Mekong Delta cruises between Ho Chi Minh City and Phnom Penh. Tucked away in the Gulf of Thailand, the island of Phu Quoc is becoming increasingly popular as a beach destination. More travelers are drawn here by the clear waters, isolated beaches, forested interior and charming local character. And be sure to sample Phu Quoc's famous traditional dish - fish sauce and black pepper. For a relaxing tropical beach retreat, try La Veranda Resort & Spa or ChenSea Resort & Spa. See somewhere you’d like to experience? Contact us for a FREE consultation and we will help you plan your Vietnam vacation. The Flavors of Vietnam tour blends cooking classes and culinary-focused tours with visits to Vietnam’s most enthralling attractions. Experience the awe-evoking beauty of Halong Bay, the ancient streets of Hue and the enticing chaos of Ho Chi Minh City – all within the context of this country’s remarkable cuisine. A Journey by Private Car and private local guides, featuring Hanoi, Hanoi-Halong Bay, Danang, Hoi An, Hue and Ho Chi Minh City. Immerse yourself in true Indochina on the Authentic Vietnam tour, an enthralling 13-day journey that connects you with the country’s most spectacular attractions as well as many lesser-known locales. Savor this remarkable experience while enjoying fine dining and sumptuous comfort every step of the way. A Journey by Private Car and Guide, featuring luxurious accommodations, touring, sightseeing and unforgettable experiences in Ho Chi Minh City, the Mekong Delta, Danang, Hoi An, Hue and Hanoi. 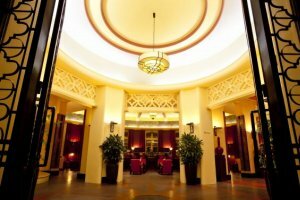 Set in Hanoi’s French Quarter, the elegant Sofitel Legend Metropole is frequented by celebrities, dignitaries and savvy world travelers who crave the stately luxury found within these historic walls. Discover why the Sofitel Legend Metropole remains one of the best-reviewed hotels in all of Southeast Asia. A colonial-era building tucked along the banks of the Perfume River, the perfectly located La Residence reflects the historic charm of Hue. A stunning saltwater pool and an immaculate spa are among the perks of staying here. 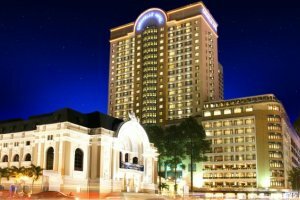 A storied hotel set in downtown Hoc Chi Minh City, the Caravelle is a refreshing respite from the bustling city streets. These 5-star accommodations offer the perfect mix of style, comfort and location. Blending mesmerizing views of the Sapa Valley with colonial-era charm, the Victoria Sapa Resort & Spa is about both adventure and relaxation. This rare alpine lodge offers a Vietnam experience like no other.